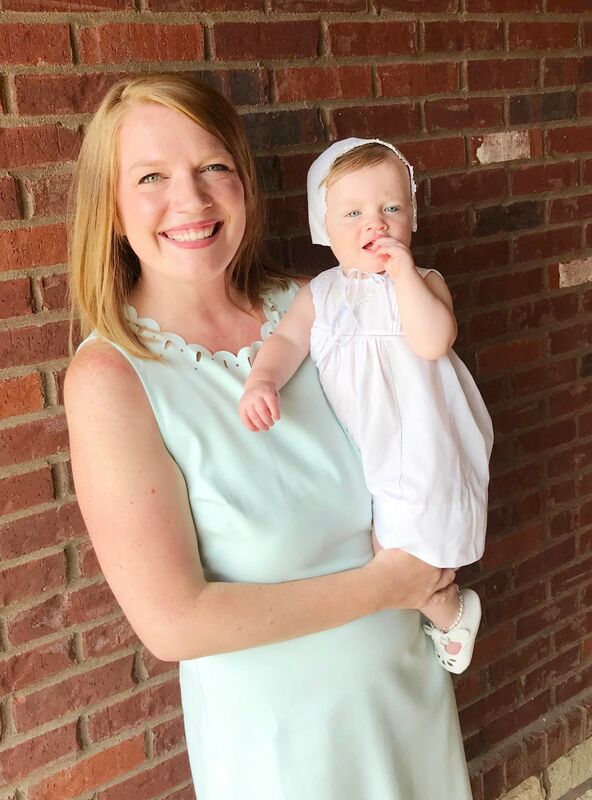 Meet Megan, our September Mom of the Month! Megan is mommy to Lola Kate and wife to Brian. Megan is one of our most recent Body Back success stories, losing 31 pounds in her VERY FIRST ROUND. She is now crushing goals in Run Club and gearing up for her second round of Body Back this Fall. Outside of being an awesome mom and wife, Megan is also a 10th grade English teacher. Megan is hardworking, fun, hilarious and also a pretty fun time (ask her about karaoke). Megan, we are so happy to have you as a part of our Village and can’t wait to see you continue to crush your goals! What is your fave thing about FIT4MOM? I love the community! I have met amazing mamas and love the support that the coaches give. What is your favorite exercise at Stroller Strides or Boost? I love squats! And anything for the triceps! The snuggles! It is so great to have a little person to love and teach. I enjoy seeing her grow each day and learn new things. It’s happening so fast but it’s so great to see her change right before my eyes! Favorite thing to do when you have Mom-ME time? Go to Target ALONE! It’s amazing the damage I can do there without the kiddo in the cart! We love to explore our city even though we have lived here our whole lives! We like to check out new restaurants, go out for ice cream, and explore local breweries! We also love to take Lola to swing at the park and walk around the zoo. What is your favorite healthy and unhealthy food? I LOVE ice cream! Graeters is my favorite. Healthy food-all of the fruit! What is your favorite song or artist? I love country music- Reba, George Strait, Garth Brooks, and Eric Church are my favorite. I also love Mumford and Sons and David Gray. Big Brother currently! It’s my guilty pleasure! I also love This Is Us, The Resident, Younger, and Suits.